100% Handmade & Art in the garden of Green Hours, jazzy mood, fashion and accessories. 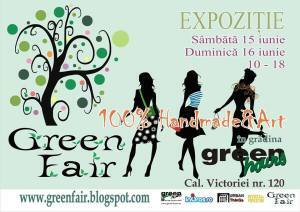 "Green Fair in June" Fair in Bucharest. You can get here description, reviews, address, time and details of "Green Fair in June" Fair in Bucharest. Visit Bucharest Tips for more Fair events in Bucharest!